Founded on the passion for the power of plants and everything they have to offer, Aliza Jabès poured her knowledge as a research pharmacist into a natural line of skin care products. NUXE is a unique cosmetology brand that relies on plant extracts and natural botanicals in order to improve the health and appearance of the skin. Not only are NUXE products highly effective at addressing various skin concerns and maintaining a healthy complexion, but every product is a pleasure to use, inspiring the body and mind with luxurious formulations that sooth the senses. Delightful fragrances and textures transform the bathroom into a haven. Nature is the inspiration and the driving force behind NUXE, a company that brings the best nature has to offer to face and body care. NUXE offers a full line of nature-inspired products for all parts of your body. These unique face and body treatments combine the benefits of plant botanicals with the essence of pure essential oils. The ingredients in each product is skillfully extracted and combined with other active ingredients to formulate treatments that deeply nourish as they reinforce the skin's natural moisture barrier. Ever respectful of the sanctity of nature, NUXE produces their products in a responsible manner and packs each into ecological-friendly packaging. Each product, whether it is a nourishing night lip balm or an intensely hydrating night cream, is formulated to enhance skin's natural health and beauty. Natural botanicals and antioxidants provide added protection against free radical damage from the environment while essential oils and other skin-active ingredients restore balance. Each is built around the unique skin-enhancing properties of plant-based ingredients and the healing power of nature. NUXE believes skincare should be an experience. 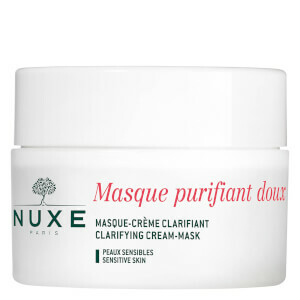 Their name NUXE is derived from the French terms for nature and luxury and their products are a fusion of the two. 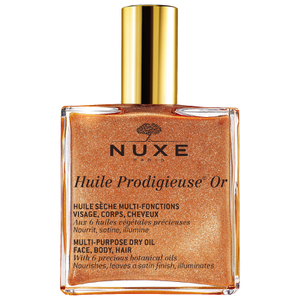 Each product is a sensual experience - from NUXE Huile Prodigieuse Multi-Usage Dry Oil Spray for softening face, hair and body to NUXE Love from Paris Huile Prodigieuse, a dry oil with the sensual aroma of vanilla, rose and orange blossom that gently soothes your body and senses. 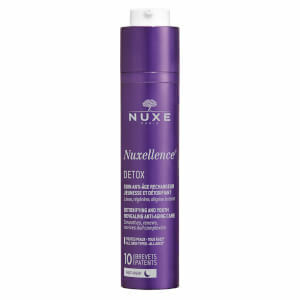 You'll feel pampered each time you use a NUXE product and your skin will reflect the difference too. Explore the variety of products that NUXE offers. You'll find plant-based treatments for every part of your body, each with a unique blend of ingredients derived from nature. NUXE is recognized as an innovator and leader in the field of plant-based cosmetic science and carries out their own research in the area of skin therapy and have received awards and recognition for their contributions to the cosmetology field. They continue to innovate and formulate natural products that enhance the skin's natural beauty. Discovering effective beauty products that feature natural ingredients maximizes your skin's health. With NUXE Products, you will not expose your skin to harsh chemicals, artificial colorants, chemical preservatives, synthetic fragrances, and chemical sunscreens. Instead, you will pamper and treat your skin with natural ingredients such as pomegranate, Shea butter, Vitamin E, and essential oils. These natural ingredients, tested for safety and effectiveness by dermatologists, offer soothing qualities, giving your skin a fresh, rejuvenated look and feel. 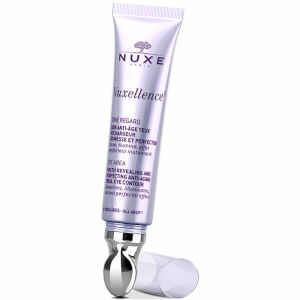 No matter your need, you can find a NUXE Product for you. These products include everything from bronzers and lip glosses to concealers, cellulite treatments, and masks. Cleanse and moisturize your skin with NUXE Products, treat the delicate area around your eyes, or pamper your feet. These paraben-free ingredients effectively nourish your skin without the irritation that other products can cause. Embrace natural, healthy ingredients by adding NUXE Products to your beauty routine. Your skin will thank you. With more than 50 years of experience in the beauty industry, NUXE Products are proven, trustworthy products to pamper your skin. Thanks to their lack of harsh chemicals, artificial colorants, and synthetic fragrances, NUXE features all-natural products that are effective but gentle enough not to irritate your skin. It's not often that you can find one product to nourish, repair, and soften your face, body, and hair. However, NUXE Huile Prodigieuse Multi-Usage Dry Oil Splash - Shimmer does just that. Featuring 30% precious plant oils and Vitamin E, this formula leaves your skin feeling soft and velvety. You'll notice glowing, glittery skin. The preservative-free formula can even reduce the appearance of stretch marks. Simply apply it on your face, body, and hair year-round to enjoy the benefits. 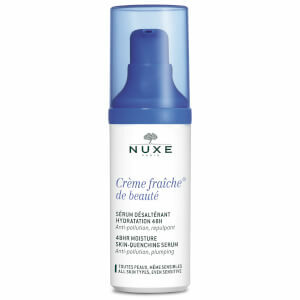 If you suffer from dryness, NUXE Creme Fraiche Concentree 24hr Energizing Moisture Cream - Dry to Very Dry gives your skin all-day moisture and hydration. Apply this cream daily to tone, energize, and hydrate your skin. The cream can also soothe itchy skin caused by dryness, creating soft and smooth skin. This hydrating cream can even double as a mask that adds moisture to your skin after sun exposure. Fight visible signs of aging on your face with NUXE Phytochoc Lifting Serum for Face and Eye Contour. This lightweight formula is suitable for all skin types and helps eliminate fine lines and wrinkles. At the same time, it prevents dehydration, giving your skin a moisture boost, and leaves your skin toned, smooth, and lifted. The result is healthy, glowing, noticeably younger-looking skin. You can use this serum before you apply makeup, serving as an effective primer, as well.